Will you have 808 Scytale on tap and in bottles also? 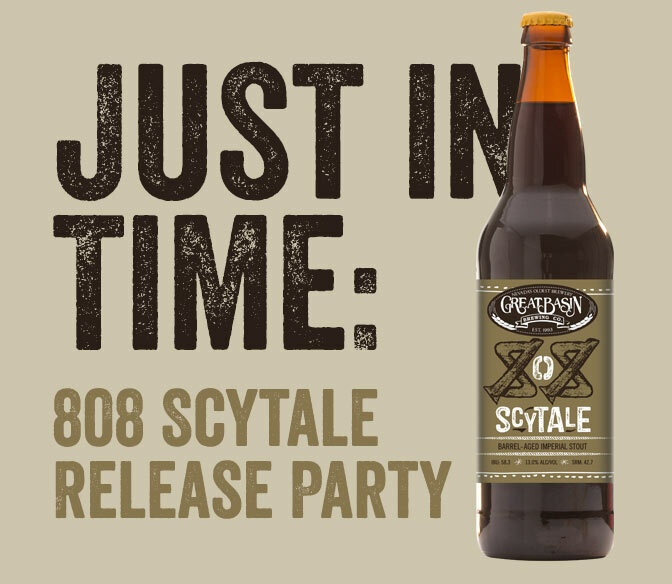 Because we have such a limited quantity of 808 Scytale, this release will be limited to bottles only. Be sure to come to our release party and grab yours before they're gone! The Great Reno Balloon Race is gearing up to take flight for its 35th Anniversary this weekend, September 9-11. It’s definitely one of the most magical and iconic events that happens in Northern Nevada. 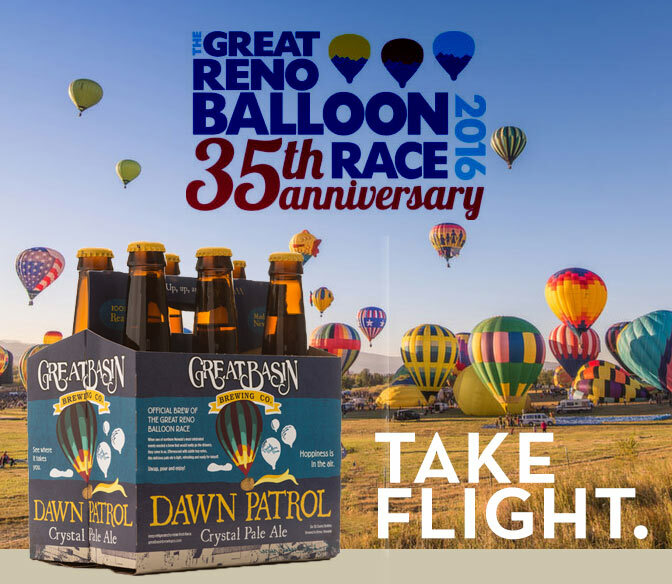 We’re honored to brew the official beer of the Great Reno Balloon Race – Dawn Patrol. It’s a wonderful Crystal Pale Ale that’s perfect for lifting you up through the dog days of summer. Plus, with every Dawn Patrol you enjoy, a donation is made to benefit the Great Reno Balloon Race. It’s clearly a win, win. Grab a few now, available in 6-packs and our brewpubs while it lasts. Join us each morning as the balloons rise into the sky. Keep an eye out for ours! We’ve been biding our time, patiently waiting for the right moment to release the newest entry in our coveted Scytale series. The time is nigh. Announcing 808 Scytale – a 13% ABV barrel-aged imperial stout. It’s been aged in whiskey soaked oak barrels for precisely 808 days. 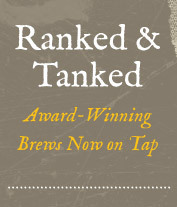 This brew presents flavors of caramel, molasses, bourbon, raisin, honey and herbal notes. This is one you have to experience to believe. On E. McCarran between Rock and Mira Loma, adjacent to FedEx. An extremely limited number of bottles will be available to purchase in conjunction with the fall equinox at our release party. We’ll have brewery tours, live music, food, and games! More details to follow. 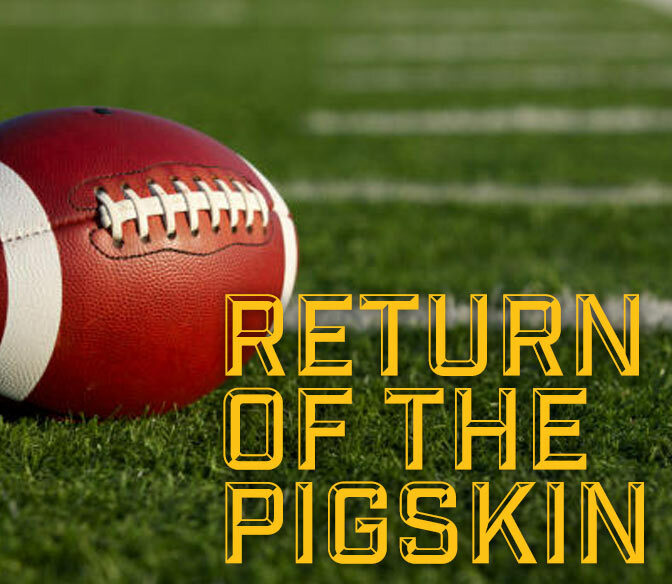 As the summer starts to wind down we turn our gaze to the upcoming football season. We couldn’t be more excited to get things kicked off right with Monday Night Football specials on our brews for just $3 a pint* at both locations! On Sundays at our Reno location we’ll have brunch from 9:30am-2pm. We’ll be serving up our signature dishes along with $1 mimosas, bloody marys, and pints of beer* from 9:30am-11am. From 11am-2pm we’ll have $3 mimosas, bloody marys, and pints of beer*. Come down and do football right. Attention: All Browns fans are welcome to come root for the Brownies at our Sparks brewpub (The Dawg Pound) for every Browns game this season. It is the official meeting place for the Northern Nevada chapter of the Browns Backers. Go Brownies! Along with offering a few breakfast items and our regular menu, pints of beer are discounted during each game. * some beers may have an upcharge.